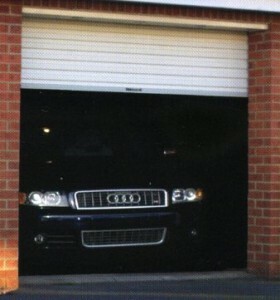 Gliderol Garage Doors, an Australian Company, have 26 factories around the world. They manufacture the Gliderol roller door and hold the patent for the continuous curtain roller garage door, which they have been making since the 1960s.In 1986, they became a major player in the UK roller door market when they opened a factory in County Durham. In 2000, Gliderol Garage Doors opened a new factory with the capacity to manufacture 6,000 roller garage doors per month. The continuous curtain Gliderol roller garage door is Gliderol's most popular product. The plastisol finish has a 10 year guarantee and is available in numerous colours. It is also available in a choice of two foil laminate woodgrain colours (Golden Oak and Rosewood) at a 20% price premium. All roller doors are made-to-measure at no extra cost. Gliderol brought out the Mini Roller Door in 2009, allowing the installation of a roller door in low headroom situations. 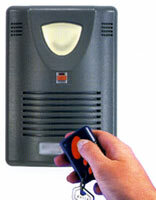 Gliderol Glidermatic remote control system cheaply and reliably makes a garage door electric and comes with two remote control handsets. 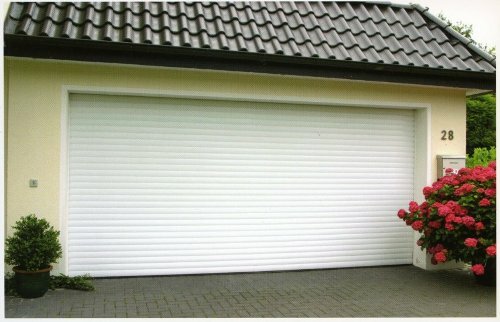 Single Gliderol roller door in white. 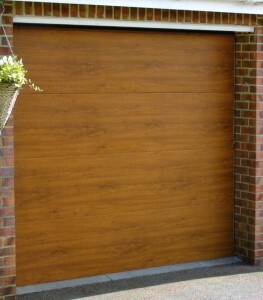 The Gliderol roller garage door is available as a manual door or it can be fully automated with a Glidermatic motor. The Gliderol Rolamatic RW1 is a universal "outboard" motor, designed to fit almost all makes and models of garage roller door up to approximately 12 square metres of surface area. It's so easy to install that it can also be retro-fitted to existing Gliderol doors, whilst the rolling code technology ensures high security. 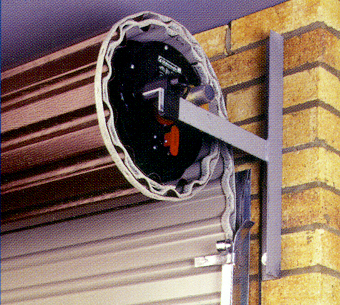 Glidermatic GRD Industrial roller door opener. The Gliderol Light Industrial door comes with a chain hoist, but the smaller models are operated simply by pushing. It can also be fitted with a heavier duty light industrial Glidermatic electric motor . This low cost large Gliderol garage door is ideal for light industrial units, farm buildings and workshops, with a lead time of around 2 1/2 weeks. The Gliderol Safe-T-Glide, Insul-Glide Gliderol Sectional garage door and the Roll-A-Glide Insulated roller garage door all provide excellent insulation at competitively low prices.